Team Azven consists of seasoned professionals and entrepreneurs with cross industry experience within the country and outside. Put together, the team has experience of working on more than 4 Mn sq.ft. of commercial buildings, villas, apartments and residential sites in India and Middle East. The key people at Azven come from the IIMs, IITs and other reputed MBA and Engineering colleges and have worked for leading companies like Infosys, Adarsh Developers, Vaswani Developers, JLL, Tata Motors and The Piramal Group. 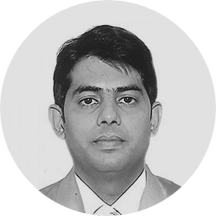 Alok has over 15 years of experience in Real Estate, IT/ITES and Automobile industries across Sales & Marketing, Strategy & Planning and Operations. Prior to taking over Azven Realty, an erstwhile subsidiary of Azure Capital Advisors Private Limited (www.azure-capital.com), Alok was a Founder and Executive Director, Fund Operations at Azure Capital. An MBA from the Indian Institute Management (Lucknow) and an Engineer from the IIT-Banaras Hindu University, Alok has worked with QVC Realty, Infosys Technologies, Microland and Tata Motors. Manish Madhukar, Joint Managing Director of Azven Realty, is a true veteran of the residential real estate industry, having founded his first venture in 2000 and today holding over 15 years of experience in India and the Middle East. A successful serial entrepreneur, Manish possesses an acute understanding of the residential real estate market and conceptualizes residential projects with the end consumer in mind. His evolved intuition about locations and potential customer profiles has made him adept at delivering the finest real estate solutions across markets and price points, having worked on over 1 million sq. ft. of residential space so far. 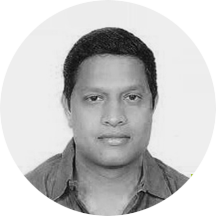 An engineer from Manipal Institute of Technology and an AMP from IIM, Bangalore, Manish is a source of new perspectives at Azven Realty and a harbinger of trust earned over years of setting the highest standards in the industry. 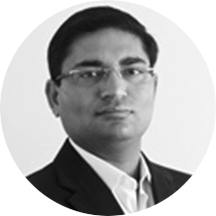 Majid Ahmed has more than 10years of experience in Sales, Marketing and HR sectors. Before Azven he was working with SJR Enterprises as Asst. Manager for sales and Mktg. Majid also worked with Infosys, Wizcraft, Holiday Inn (KSA) and Premier Travels and Developers (HYD). Majid is a Commerce Graduate from Dr. B.R. Ambedkar University Andhra Pradesh. Presently Majid is designated as Sales Manager with Azven Realty. 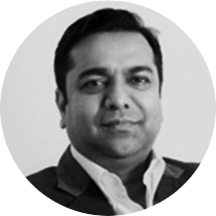 With a remarkable track record of over 12 years in real estate and financial services sector, Satish Kumar’s portfolio includes a wide range of experiences right from start-ups to major organisations. With a Masters degree in Business Administration and his passion for the job, he has been instrumental in helping businesses grow by propelling them to meet their organisational objectives. At Azven, he plays a multi-faceted role covering marketing operations, sales and managing the effective functioning of the organisation on a day-to-day basis. 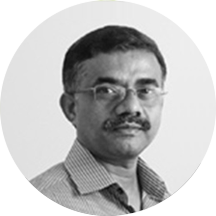 Premchand has more than 20 years of experience in project operations in leading Real Estate development companies including Adarsh Developers and Vaswani Developers. An expert in villa development, he has managed multiple residential and commercial projects including Adarsh Palm Meadows, Adarsh Palm Retreat, Vaswani Bella Vista, Vaswani Whispering Palms among others. Premchand holds a Masters Degree in Civil Engineering from University Visvesvaraya College of Engineering, Bangalore. Taj Pasha is Designated as CRM Manager at Azven Realty. He has over 15 Years of experience across different sectors. His previous assignments were with Al Fajr International School UAE , Peenya Fine Comp. Pvt Ltd. & SJR Enterprises Pvt. 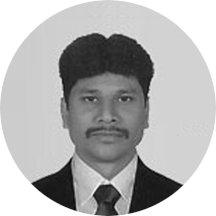 Ltd.
A Commerce graduate from the University of Bangalore. 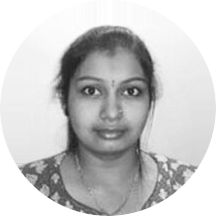 Sriraksha is designated as Project Co- ordinator at Azven Realty. She has over 3 years of experience in tendering, monitoring and planning works. Before Azven Realty she was working with Jampanna constructions Pvt. Ltd.
Sriraksha holds a degree in civil engineering from Visvesvaraya Technological University.